Welcome to the Milwaukee Croatians website, which is provided by the Federation of Croatian Societies. Our intent is to have you use this site to find information on events and activities within our local Croatian Community, to be able to get more information about our member organizations, as well as provide you with easy access to news, shopping, and other things related to Croatia. 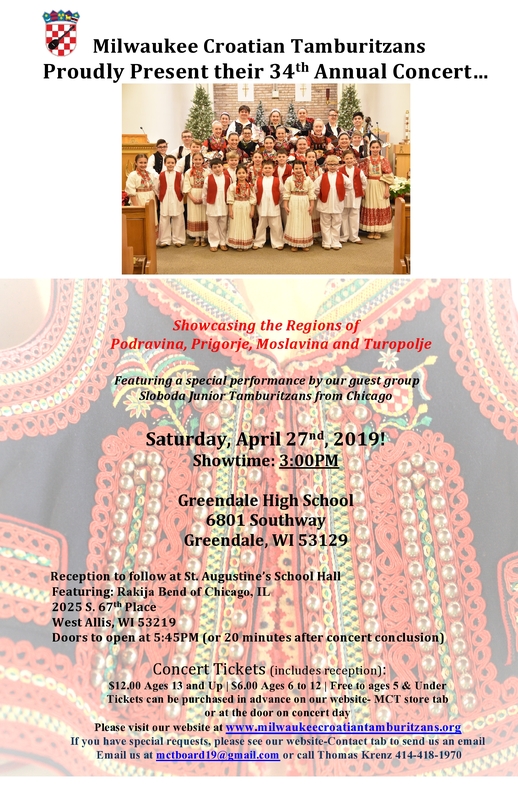 The Federation of Croatian Societies has been around now for over 75 years and is the umbrella organization for a number of various Croatian organizations based in Wisconsin. These member organizations exist to help preserve and promote our Croatian Culture. The Federation of Croatian Societies is also a 501(c)3 organization. We own and operate Croatian Park, a 30 acre parcel of land located in Franklin, WI. Croatian Park is well known as the home of the Croatian Eagles Soccer Club, which is the oldest active soccer club in North America. We also have our picnic grounds and facilities that host a number of member organization activities, and Croatian Park is available for rental to the general public. 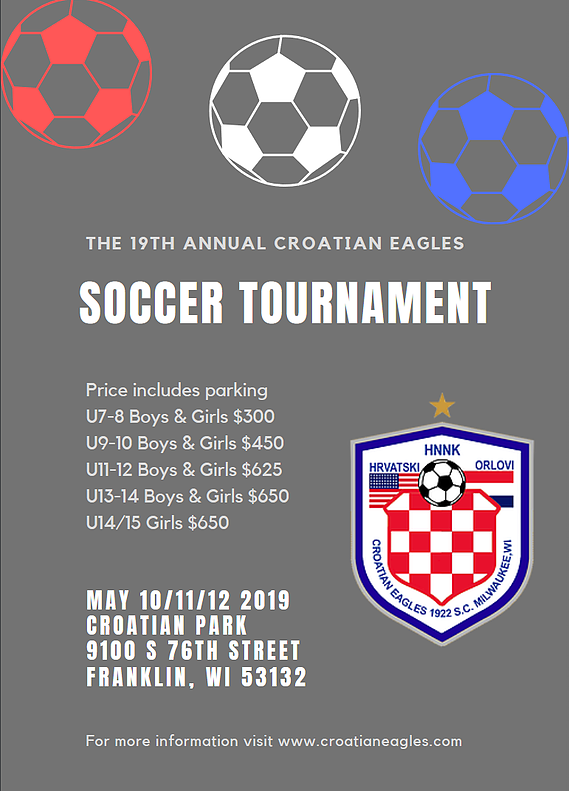 Feel free to contact us if you have interest in renting Croatian Park, are interested in donating to the Federation of Croatian Societies, volunteering at Croatian Park or at any of our local events, or would like to advertise on the Website and/or Croatian Park.